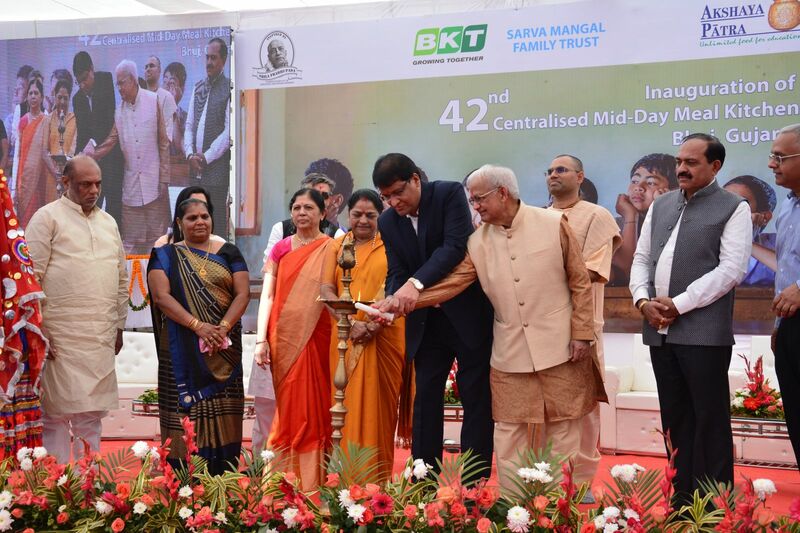 19 January 2019, Bhuj: The Akshaya Patra Foundation, with the support of Sarva Mangal Family Trust and Balkrishna Industries Limited (BKT), inaugurated its new kitchen in Bhuj, Gujarat. 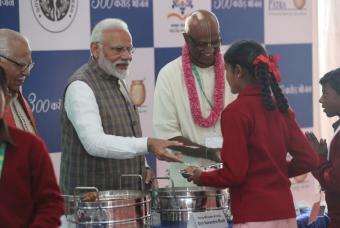 19 January 2019, Bhuj: The Akshaya Patra Foundation, with the support of Sarva Mangal Family Trust and Balkrishna Industries Limited (BKT), inaugurated its new kitchen in Bhuj, Gujarat. Through this kitchen, Akshaya Patra will endeavor to implement various feeding programmes of the Government of Gujarat and benefit various sections of the society. The new kitchen, which will adhere to international standards of food safety and hygiene, is set to commence operations after Government approvals. The kitchen was inaugurated by Dr Nimaben Acharya, MLA, Bhuj. The Guests of Honour for the event were Smt Lataben Solanki, President, Nagar Pallika, Bhuj; Shri Manubhai, Shri Raj Shah and Smt Rika Shah, Founders, Sarva Mangal Family Trust; and Shri Basant Kumar Bansal, CFO, BKT. Also present at the occasion were Shri Laxmansinh Sodha, Hon’ble President District Panchayat, Kutch; Smt Amrutben Rabadia, Sarpanch, Sukhpar, Bhuj; Shri Mukesh Zaveri, Director - Sardar Sarvar Nigam Limited; Shri Narendra Kumar, Plant Head, Balkrishna Industries and Shri V P Mathur, Head HR, Balkrishna Industries. 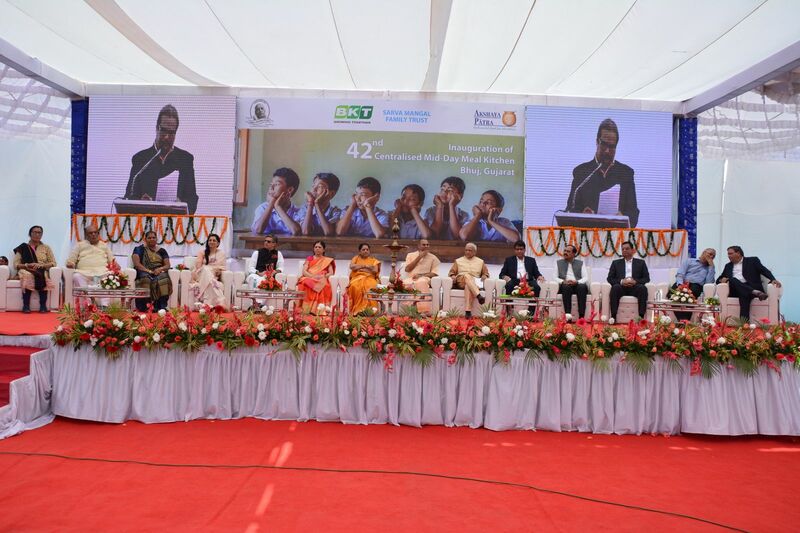 The event was presided by Shri Jaganmohan Krishna Dasa – President, The Akshaya Patra Foundation, Gujarat.